Let us perform your preventive maintenance on your heating and cooling equipment. The best maintenance is preventive maintenance not reactive maintenance which can be inconvenient and costly. We can also tell you how to receive tune-up rebates from your utility company which may cover some of the cost of your tune-up. 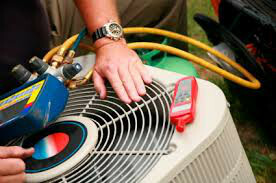 Give us a call for your heating or cooling repair needs. It’s unfortunate when units are not working properly or not at all. We will do our best to work around your schedule and arrive on time to service your equipment. We service all makes and models. 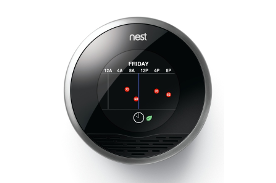 We perform new installations on new or existing homes. Whether you are upgrading or replacing your equipment we can help you choose the right system for your home. Give us a call for a free quote and a list of which rebates you would qualify for. We are pleased to help you with preventative maintenance, installations and service needs at affordable prices. I have been a customer of Umberto’s for about 10 very satisfied years. Umberto always takes care of my problems quickly, effectively and at a very reasonable price. The best part is I don’t have to worry because I know he always has my best interest at heart. Umberto has been repairing, replacing, and/or maintaining all my heating and air conditioning equipment for over a decade. Because of his knowledge of the industry, attention to detail and his impeccable customer service and response time, I would recommend Umberto to anyone at any time. I highly recommend Umberto to anyone. He gives quality service, he’s dependable, thorough and is a man of integrity. At B&K Properties Management, LLC – Rosemount, MN; we hold not only ourselves, but our vendors to a high standard of quality, service and dependability. Umberto Rivera at Umberto’s HVAC is one of our premier service vendors. His quick response times, diagnostic skills and competitive service pricing put him a notch above other HVAC vendors. I would recommend Umberto without reservation for your next HVAC service call. Very professional, answered all my questions, and did a fantastic job! I’m very pleased with the quality of work and would highly recommend him to everyone i know. Just had my Air conditioner serviced; he came out on a hot day and fixed it vary quickly. Great service. We needed to replace our AC and had several of the big companies give us estimates. Luckily before we decided who to go with any of them, Umberto was highly recommended to us by family. We decided to go with him because not only was his price the most competitive but I liked his demeanor, he was professional and I trusted him immediately. A great decision and we are enjoying these hot July days from the comfort of our COOL house! I have absolutely only good to say about Umberto’s HVAC. His word is very reliable and his service wonderful! He is patient and honest about what was wrong with my furnace and wanted me to get other bids for the same service. There is no pressure from him, just an honest assessment of the problems. I would highly recommend his service, work and prices to be compared with any other comparable business. Excellent Service. Quickly fixed our problem in a very professional manner.